We love amber alternate shorts, and no 5-0 demolition at Derby is going to change that. They’re a great way of avoiding a colour clash, while retaining the colours we’re known for: amber and black. 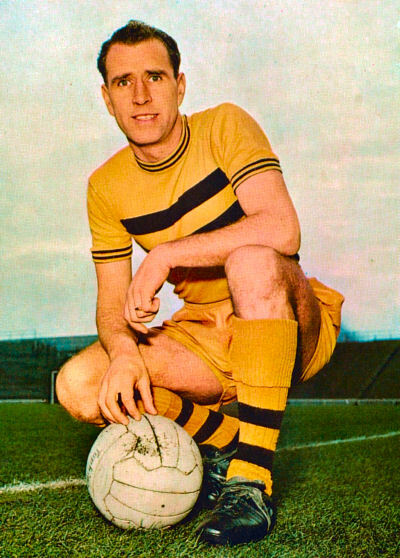 Amber shorts haven’t always been alternates of course, they were part of the primary kit in 1964/65. That kit, despite having a fabulous shirt with twin black chest hoops, proved unpopular at the time, and was dubbed the ‘banana kit’. That disparaging term speaks volumes about what is needed for amber shirts to work: contrast. If the shirt doesn’t have enough black in it, the addition of amber shorts will create a look that is pale and washed out, yellow, rather than the bright and distinctive amber associated with the Tigers. That said, the switch to Polyester, which isn’t prone to colour fading as Nylon is, means a modern pair of amber shorts would be the same bright tone at the end of the season as at the start, despite repeated washing. Despite the material change (which occurred in the late Seventies and early Eighties), amber shorts don’t seem to have been considered again for home kits. 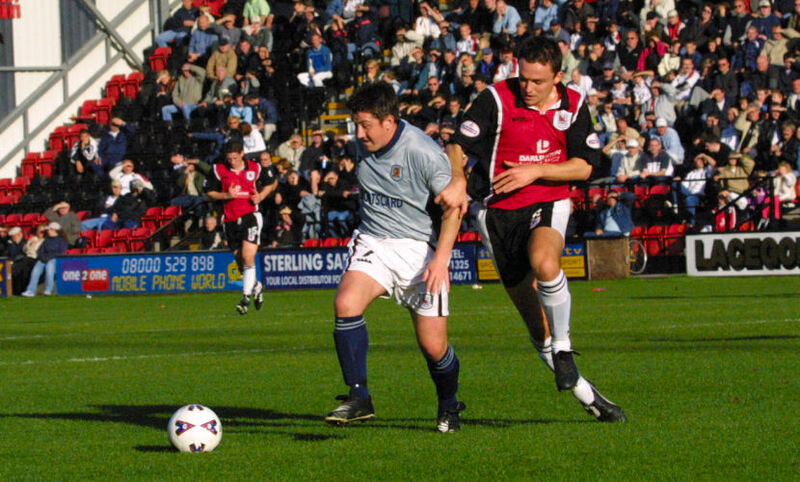 Even as alternates, used with the ‘home’ shirts away from home against opponents with black or navy shorts, amber shorts weren’t introduced until the early 2000s. 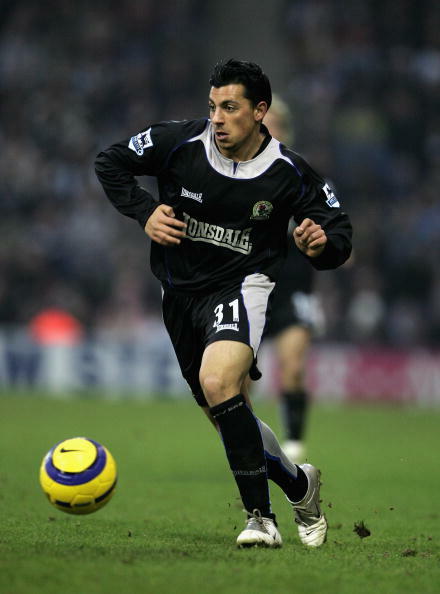 Their use in the 2001/02 season was precipitated by a somewhat laughable incident at Feethams (the then home of Darlington) that was caused by the naive decision to have an away kit with dark shorts when the home shorts are black. City had worn the away kit of silver shirts with navy blue shorts and socks at Derby County in the League Cup in September 2001, referee Graham Laws evidently didn’t see white shorts and black shorts v silver shirts and navy shorts as a clash. Midway through the game however, Jones decided there still wasn’t enough distinction and so halting proceedings, had Darlington change into their away shirts. On the pitch. With a blizzard of shirts being tossed onto and off the field of play. In hindsight, the better decision would have been to have Darlington wear their white away shorts, that way they would have still been in their home shirts. Rodney Rowe might have preferred that solution, as it would have meant he didn’t have to squeeze into the number 9 white Darlo shorts, which were clearly several sizes too small for him. The Darlo debacle led to City ordering two sets of alternate shorts to avoid any further clashes. 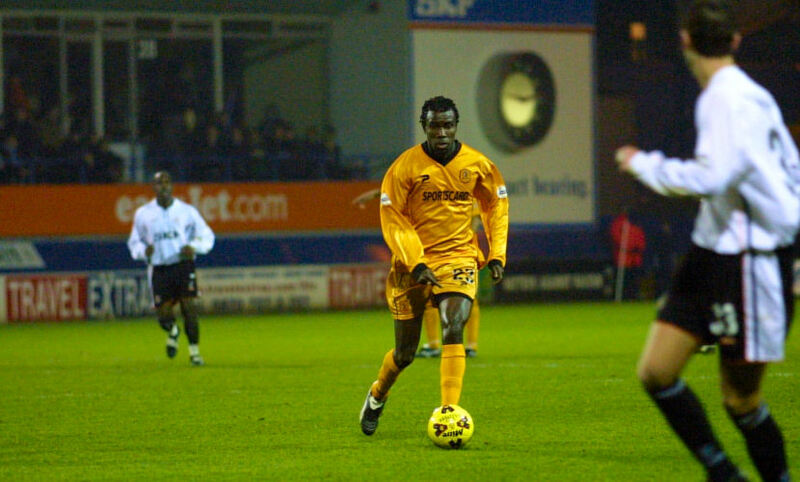 A silver shorts set was worn just once with the away shirt, at Oxford in March 2002, however the amber alternates made to be worn with the amber home shirt with a black contrast V neck were pressed into action three times in 2001/02, and established a way to avoid a kit clash while still using the primary shirts away from home. The Patrick branded amber alternate shorts made their debut at Lincoln on Saturday 19th November 2001. Curiously, the amber shorts had the same jacquard pattern of repeated diamonds containing chevrons as Boston United’s Paulas Benara (of Belper) branded home shirts. The chevrons pointed upwards on Boston’s shirts but downwards on City’s alt. shorts. Both it seems, were manufactured by Dewhirsts, who made apparel featuring other firm’s branding used under licence. 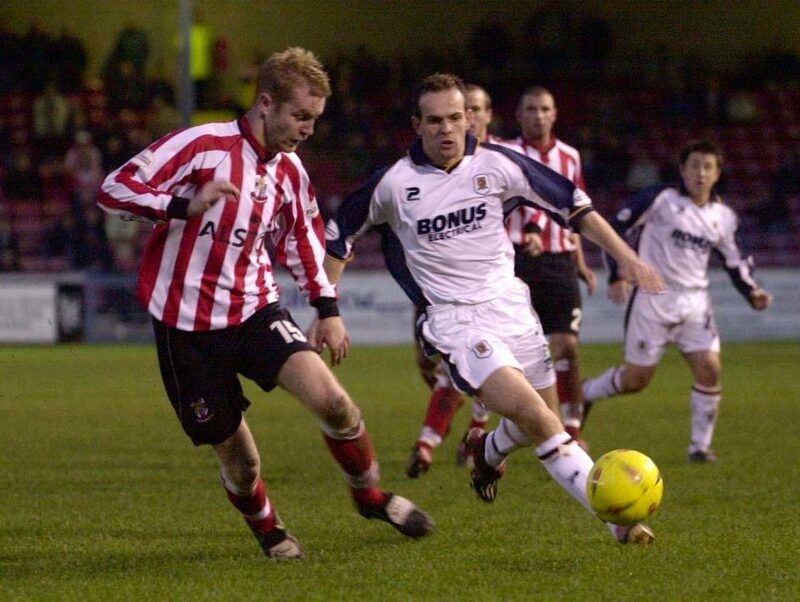 After the 2-1 defeat at Sincil Bank, the amber alts were used again at Luton on Tuesday 20th November 2001. That game ended in victory for the Tigers, with Rob Matthews’ goal proving enough to take all three points at Kenilworth Road. The last time they appeared in 2001/02 was in the March, when City eked out a 0-0 draw at Leyton Orient. 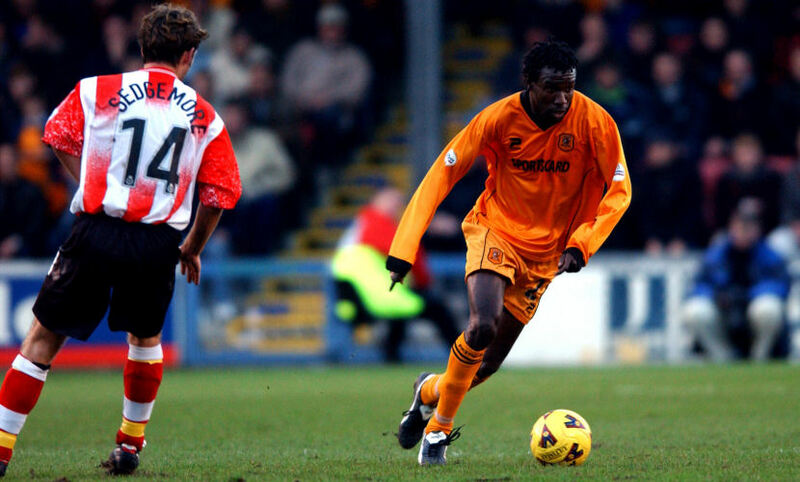 White shorts were preferred as alternates in 2004/05 (Sheffield Wednesday) and 2005/06 (Sheffield Wednesday again and Luton), but an amber set was made up for 2006/07 featuring Diadora’s arrowhead logo. They were first used at Deepdale in the October, paired with the black socks of the away kit as City went down 2-1 to Preston North End. 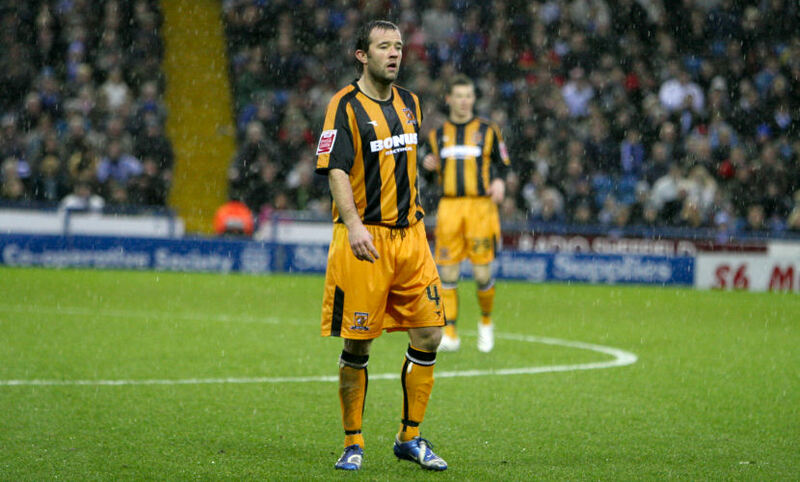 On New Years Day 2007 the amber alts were utilised again, this time with the amber socks from the previous campaign’s home kit. Nick Barmby scored twice in a 2-1 win at Hillsborough. Umbro took over as kit supplier in the summer of 2007, but none of their home kits worn for three memorable seasons – which took in a first Wembley visit (2007/28), our first top flight campaign (2008/09) and relegation from the Premier League (2009/10) – had a set of alternate shorts. The next batch of amber shorts were provided by the brand with the three stripes: adidas. 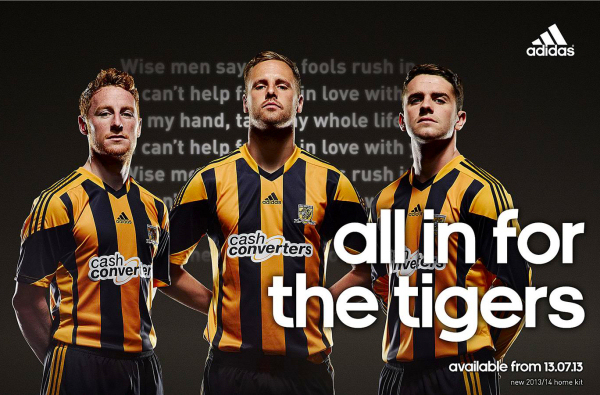 adidas took over for the 2010/11 season, in which the Tigers found themselves back in the Football League. There were no alternate shorts that campaign, instead City got by with mash-ups: mixing and matching parts of the home and away kits. 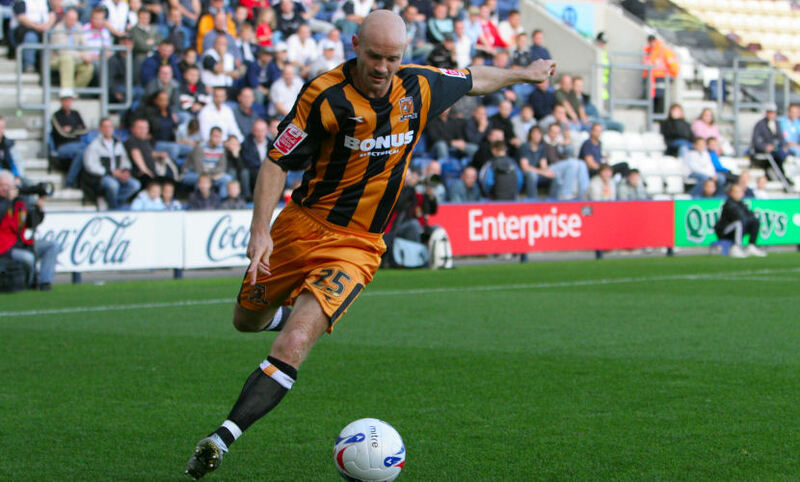 The first adidas amber alts appeared in 2011/12, debuted along with amber alternate socks at Derby in Nick Barmby’s first match in charge after Nigel Pearson hot-footed back to Leicester. The look was replicated in the next two away games, at Southampton when the black shorts of the Saints necessitated it, and at Coventry, when there was no real need given the all-sky blue kit of the home side. Used with the ‘Tiro 11’ template home shirts, the amber shorts were chromatic reversals of the primary black set, with a curved contrast panel that starts at the hem then truncates and slashes past the three stripes on the sides. Nobody anticipated City turning out in amber shorts at home however, at least until Southampton arrived at the KC Stadium with only black shorts. 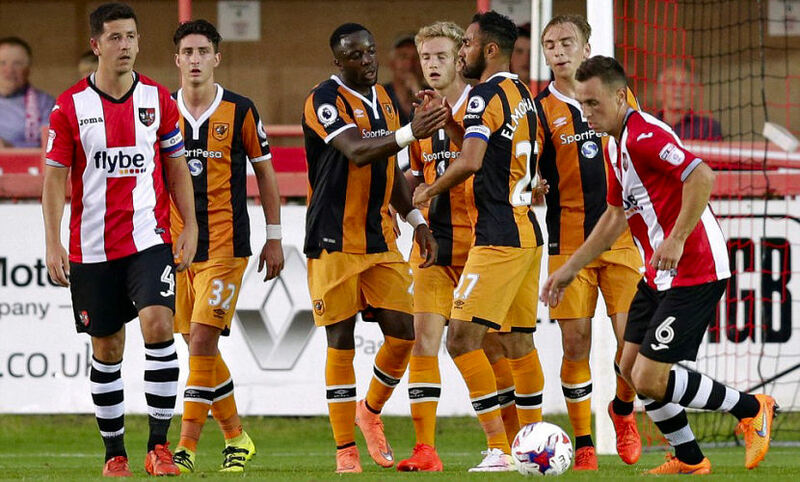 The Saints kitman evidently presumed the amber shorts used at St. Mary’s were part of City’s primary kit. Instead of going all-amber, the black primary socks featured in the 2-0 defeat. The final use of the amber alts. came at Portsmouth. Another 2-0 defeat. You might expect that six uses of primary kit alternate shorts in 2011/12 represents peak amber shorts, but you’d be wrong! The promotion season of 2012/13 not only saw an increase in alt. shorts use, but there were two distinct amber sets! City didn’t even wait until the regular season began to debut one of the new sets, breaking them out in pre-season in a game at Grimsby (check out that retro ball design). The 2012/13 away kit was all black, and utilised a different style of shorts to those of the home kit. Both kits also had amber alternates, and the away kits alternate shorts were used just once, at Doncaster in the League Cup. 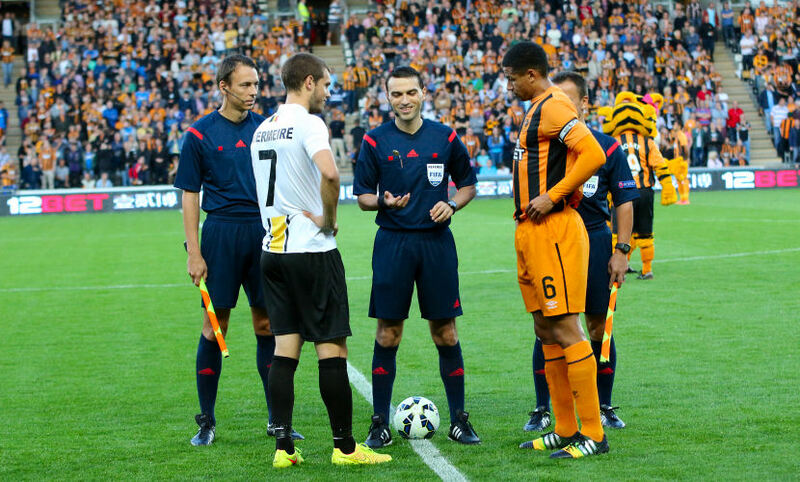 This was the only time to date when the Tigers have dressed in black over amber. Feast became famine in 2013/14, the last season of the adidas contract, as there were no new amber alts. The previous season’s alternates for the home kit were re-used just once, in pre-season at Winterton. The royal blue away kit had two sets of socks, one red and one white, providing sufficient enough contrast to make alternates for the home shirt redundant. The FA Cup Final against Arsenal was the last game in which adidas dressed the Tigers, as the club renewed acquaintance with Umbro. The return of the double-diamond coincided with a new club crest that was suspiciously club name free, coming as a name change was blocked by the FA. 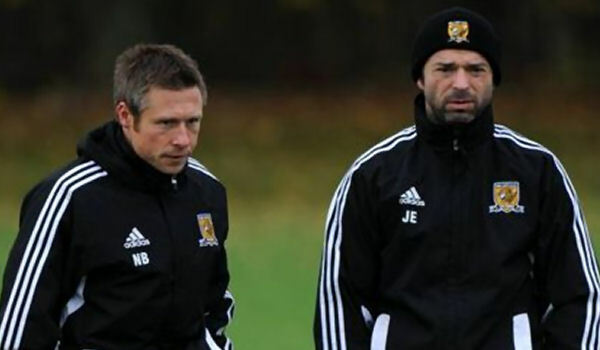 Hull City became the last team to qualify for UEFA competition as losing cup finalists in 2014/15, in future years the Europa League qualifying spot would pass to the highest ranked Premier League team not yet qualified if the cup winner qualified by other means. After overcoming AS Trenčín of Slovakia in the Third Qualifying Round , City faced KSC Lokeren in the Play-Off round. The Belgian side agreed to wear their away kit at home in the first leg so that City could wear their European change kit, with the agreement they could wear their home kit in the second leg in Hull. That meant amber shorts at home for the Tigers, in a game that would end in elimination despite a 2-1 win. The shorts featured a bespoke font that loosely resembled the stencils used on cargo containers, appropriate for a port city side travelling abroad. UEFA regulation compliant shirts were made ahead of the Lokeren game in the anticipation of Europa League group stage qualification. They featured a ‘free zone’, a plain amber panel on the back for increased name and number legibility. 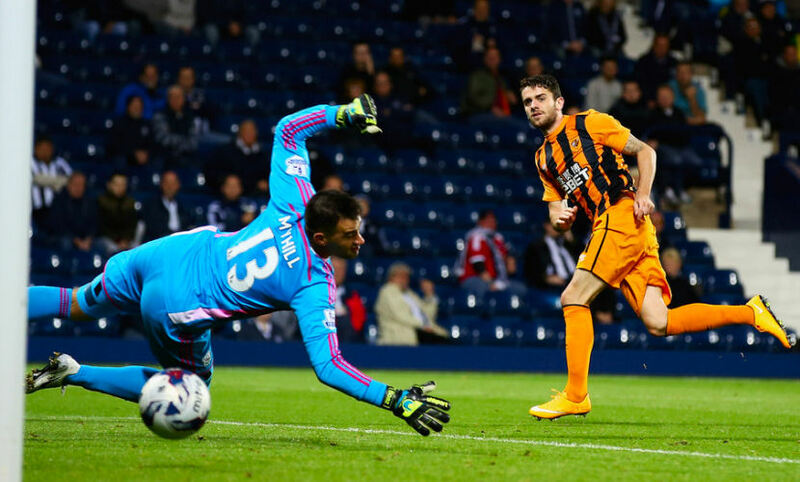 With European interest ended after just four games, the ‘Euro shirts’ became ‘cup shirts’, and were used at West Brom in the League Cup with amber shorts. 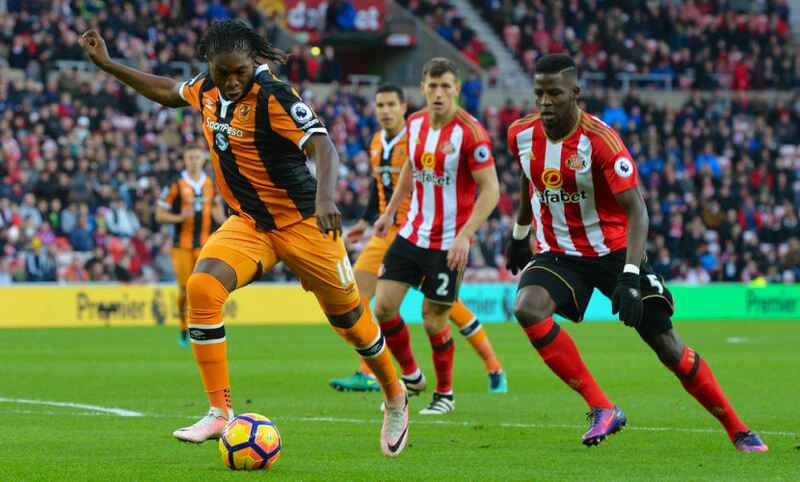 The amber shorts were given one domestic outing in 2014/15, at Sunderland in the Premier League, so they had Premier League numbers applied. City won 3-1. A third letterset style was applied to the 2014/15 amber shorts when they were re-used in 2015/16. 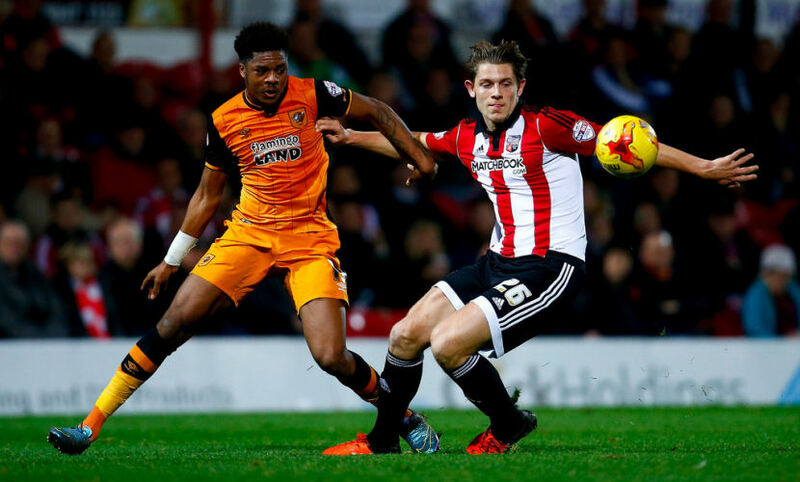 City won 2-0 at Brentford in the November Championship fixture. They were next worn at Bury in the FA Cup Fourth Round. City won 3-1 courtesy of a Chuba Akpom hat-trick. The 2014/15 amber shorts must have been in short supply by April 2016, because City used the white away shorts and socks with the home shirts. 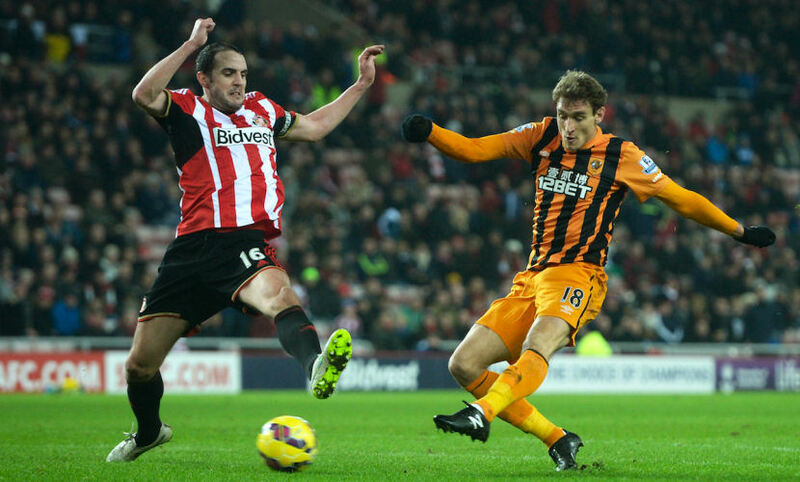 It wasn’t pretty, nor was the performance as the Tigers crashed to a 4-0 defeat. 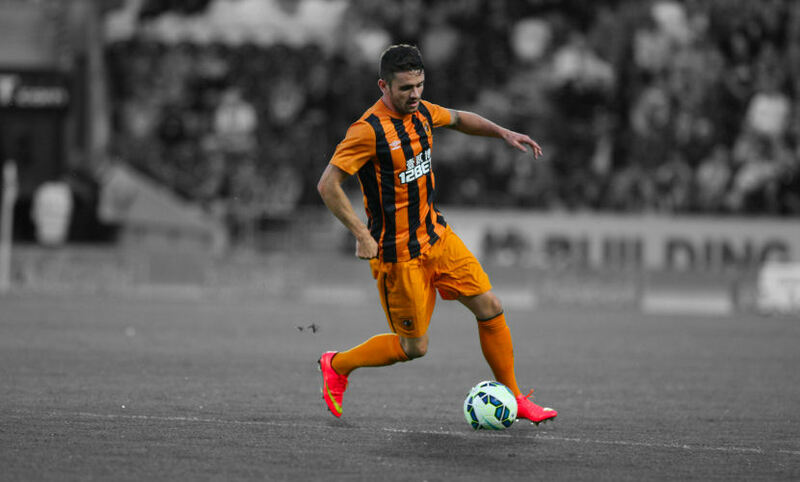 When City faced Derby again in the play-offs, they did so in all new amber shorts. Evidently Umbro supplied the 2016/17 alt. shorts ahead of schedule. a 3-0 win put the Tigers in the driving seat going into the second leg. The 2016/17 alternate shorts set was next used in the August in a League Cup game at Exeter. 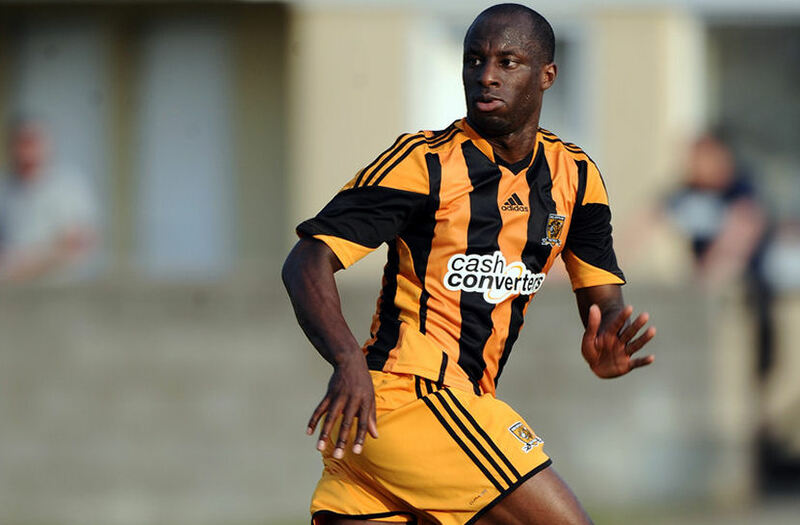 Adama Diomande (2) and Robert Snodgrass scored the goals in a 3-1 win to put City in Round Three. 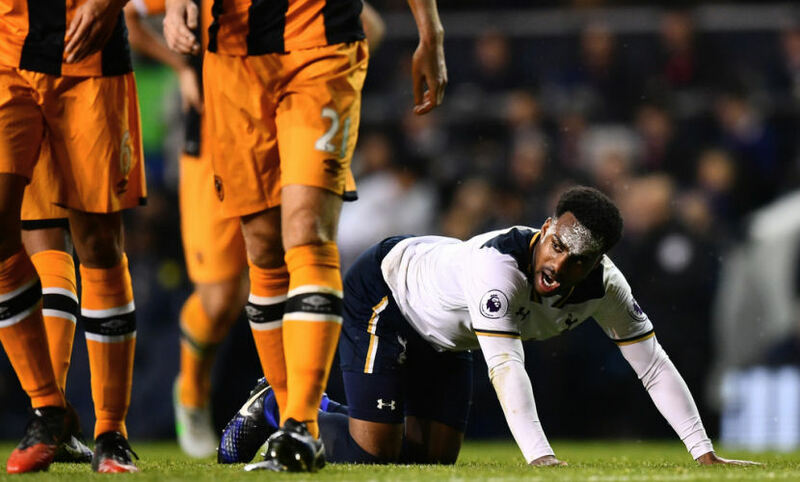 The Premier League numbers added to the amber shorts in 2016/17 were white, rather than black. Those shorts were next worn at Sunderland in the November. Within a month they were put to use again, this time at Tottenham in December. The result was the same though, another 3-0 defeat. 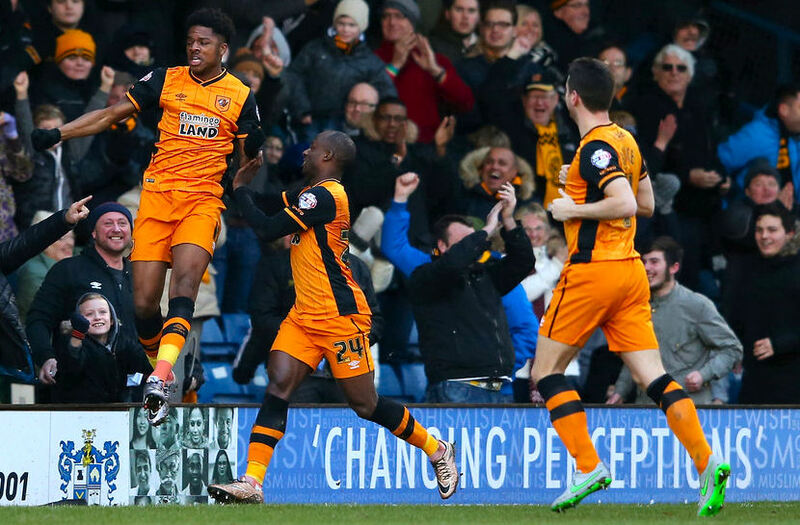 The FA Cup Fourth Round saw the last use of amber alts. in 2016/17. Another three goal deficit in defeat, 4-1, this time to Championship Fulham. With City bottom of the Premier League, the cup was considered a low priority by head coach Marco Silva, brought in to attempt a rescue of City’s top flight status. Back in the Championship, with Russian Leonid Slutsky now picking the team, the Tigers had a mercurial start to the 2017/18 season. New amber alts. made their first appearance at Derby, the game was a defensive nightmare and ended in 5-0 defeat. 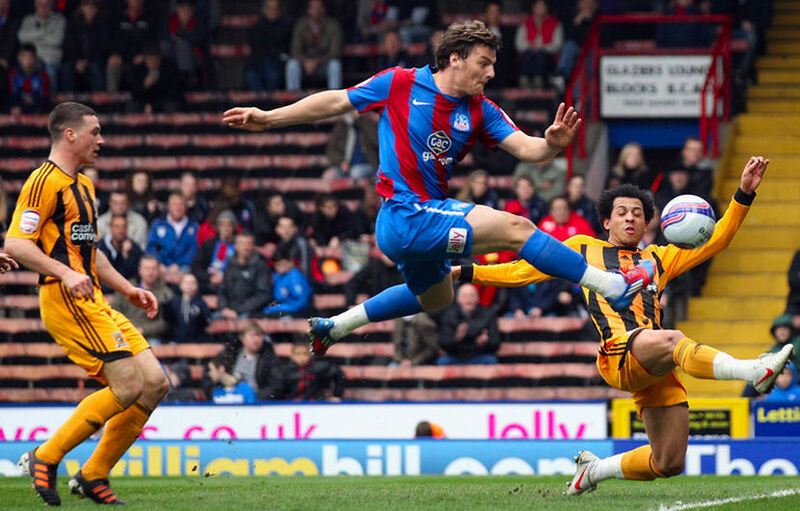 Just days later the amber shorts were on show again, this time at Fulham. Another defeat ensued though, the Cottagers won 2-1.